Initially I had wondered if opting to take a placement year would be the right decision for me, as a mature student and having worked for ten years prior to to coming to uni I did wonder what I could possibly get out of it? It turns out everything! 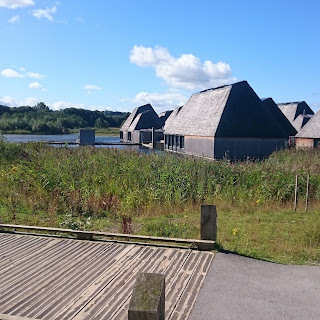 My placement at Brockholes is in the Marketing and Visitor Experience team, this means I get to work across all areas of the business, from weddings and conferences to retail and reserve, not only giving me current experience and knowledge within the industry, but also equipping me with practical skills of everyday working life. I like you have seen loads of 'in theory' examples at uni, now I can say I've been there done that to any future employers. It is not only that though, it gives me great satisfaction to know that every day I'm achieving goals and learning new skills, please don't get me wrong it's still hard work and challenging especially when you are stewarding the car park all day on a hot summers day, or running an event with minimal volunteers - who incidentally do a fantastic job, but I also need to have wellies and waterproofs under my desk just in case! But I can honestly say I wouldn't change a second. My advice - throw yourself into everything that gets offered to you, learn from everyone and challenge yourself, yes it might be scary (I did my first radio interview which terrified me!) but to be honest it's brilliant at the same time and I wouldn't do anything differently. I feel much more confident going into my final year and then it's onto to the big wide world of work...I just hope they are ready for me! I know what your thinking everyone says that and yes they do because it's absolutely true!